The Family YMCA’s purpose is to address the outstanding needs in our communities. We believe that relationships and physical presence are the best means to deliver lasting personal and social change. But we couldn’t do it without the help of partners and collaborators. Recent major partnerships are described below. 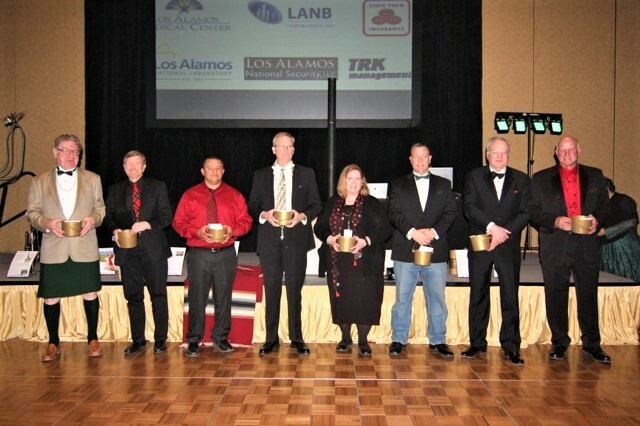 The United Way of Northern New Mexico/Los Alamos has been a key partner of the Y since we opened our doors in 1955. UWNNM/LA has provided funding for financial assistance ensuring that families and youth have access to our enriching after school and summer camp programs. They have been a key supporter of our Española YMCA Teen Center, as well. During the summer of 2018, and from 2009-2016, the state of New Mexico's Youth Conservation Corps awarded the Y significant grants to employ youth in public works for community good, to provide them with marketable job skills, and to encourage continuing education. The Y employs up to 50 youth each year for this important work. Many miles of trails have be improved and many miles of new trails have been built. The Y has partnered with Los Alamos County and the US Forest Service for this program. Here is a video of what it has done for our community. In 2017, the Volunteer Task Force, Bandelier National Monument, Delle Foundation, and Pajarito Trail Fest provided funds to sponsor a summer youth employment program through the Y Bandelier Corps (YBC).UNM-LA also partnered tand provided a continuing education credit to youth. The Delle Foundation funds the Y's Earth Service Corps (YESC) program and lends major support to the Los Alamos YMCA Teen Center. Since 2001, the Foundation has supported a summer service-learning program that connects middle school youth to various community projects including trail repair. Here is an accumulative report of latest YESC activity. The Family YMCA also partners with Los Alamos County for the YESC programs. Please see the Española YMCA Teen Center's page for information on major Center supporters. The Family YMCA 2018 Chairman's Round Table Members.